Hope you all have had an amazing weekend. 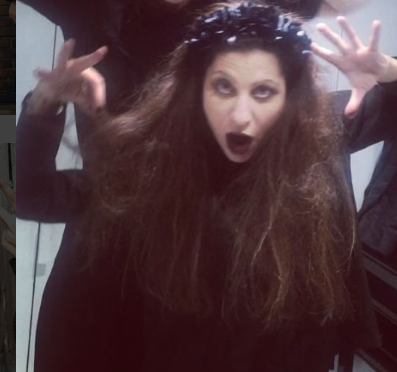 If you celebrated halloween how did you style your hair? we went to a Halloweenparty and spent some time in the salon to create some great hairstyles that didn't take to long to do. When it comes to Åsas hair, we started off by using a hair crimper and after that we used lots of dry shampoo and back combed the hair. to finish it off we used a lot of hairspray. Åsa only used 2 hairbands no pins and one accesorise from Top Shop that looks like a skeleton hand. My hair was crimped and then back combed followed by lots of dry shampoo and hairspray. My head band is from Top Shop. This is two very easy way to create some big hairs and scary looks in a very short time. New website address and amazing tips for dry hair.